Home Invasion – Can A Person Be Prosecuted For Home Invasion If Lawfully Inside House But Has No Permission To Enter A Room Inside That House? Home Invasion in Michigan comes in different degrees (1st through 3rd degree). The common element of all home invasion offenses is that the person has no permission to be in the home. On April 26, 2016, the Michigan Court of Appeals released the case of People v Bush. In Bush, the defendant was invited into the victim’s home by her adult son who lived there. While in the home the victim barricaded herself into a bedroom because she was afraid of the defendant. The defendant kicked the door down and entered the room assaulting the victim. He was charged with home invasion first degree. Prior to trial the prosecution asked that the court for a jury instruction that covered a fact pattern where a person who is lawfully in a home, but breaks into a room inside the home where there was no permission to enter can be guilty of home invasion. The trial court agreed. This argument was a very creative argument on the part of the prosecuting attorney. The fact that the trial court accepted the argument resulted in the defendant being convicted. This is why is it is so important to have great legal representation helping you. A great criminal defense attorney would have been able to counter the prosecutor’s argument and see that Mr. Bush was not convicted of home invasion first degree. Thus, there would be no need for an cost and anxiety of an appeal. A Home Invasion is a Serious Offense It Is Important That You Have the Premier Criminal Defense Legal Team of Lewis & Dickstein on your side. LEWIS & DICKSTEIN, P.L.L.C. 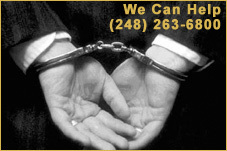 is the premier criminal defense law firm in Michigan. Our attorneys are creative thinkers and are able to counteract the most able prosecutors. 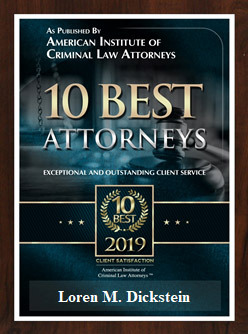 Prosecutors respect our attorneys and know that when one of the firm’s attorneys is representing a defendant that the defense will not go down without a fight. 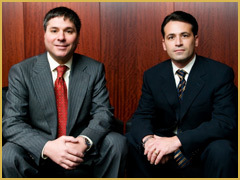 Lewis & Dickstein’s attorneys take great pride in their track record of success. The firm’s attorneys have won cases in state and federal court’s throughout the United States. 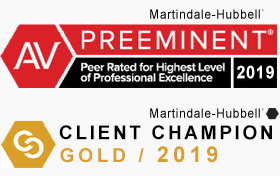 Our attorneys are all award winning and take great pride in making sure that the client’s constitutional rights are protected and that the Government follows all the rules. If you are facing criminal law trouble, or know someone who is, please contact LEWIS & DICKSTEIN, P.L.L.C. at (248) 263-6800 or complete a Request for Assistance Form and one of our top notch attorneys will contact you.